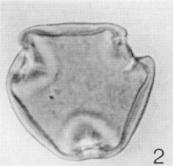 Turmal classification (after Burger 1994): Anteturma POLLENITES; Turma TRICOLPORATES. 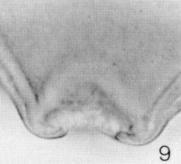 1954 Triorites scabratus Couper p. 480, text-fig. 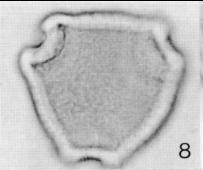 1, fig. 5. 1954 Triorites scabratus Couper; Couper & McQueen p. 407. 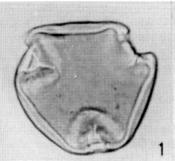 1960 Triorites scabratus Couper; Couper p. 67, pl. 12, figs 6, 7. 1961 Triorites scabratus Couper; McIntyre & Harris p. 402. 1962 Triorites scabratus Couper; McIntyre p. 316ff. non 1965 Triorites scabratus Couper; Harris p. 94, pl. 27, fig. 36. 1966 Triorites scabratus Couper; McIntyre & Norris p. 244. 1972 Triorites psilatus Harris p. 54, figs 6, 7.
non 1975 "Triorites" psilatus Harris; Hos pp. 8-9, fig. 44. (?) 1976 Triorites scabratus Couper; Harris & Morgan p. 4. 1982 Triorites scabratus Couper; Stover & Partridge pp. 74-75, 93, pl. 1, figs 10-12. 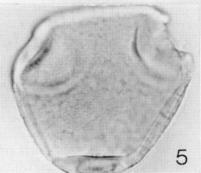 1982 Triorites scabratus Couper; Mildenhall & Suggate pp. 520, 522-523. 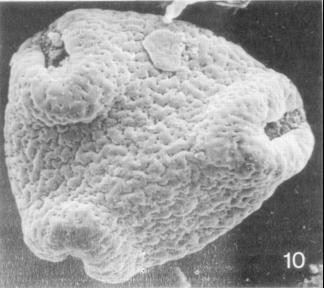 1982 Triorites scabratus Couper; Pocknall p. 19. 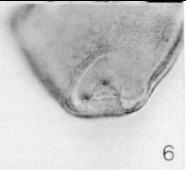 1982 Triorites scabratus Couper; Pocknall p. 285.
non 1983 Triorites scabratus; Hill & Macphail p. 283, fig. 2E. 1984 Triorites scabratus Couper; Raine p. 12. 1984 Bluffopollis scabratus (Couper) Pocknall & Mildenhall pp. 42-43, pl. 22, figs 7, 8. 1985 Bluffopollis scabratus (Couper) Pocknall & Mildenhall; Pocknall p. 348. 1986 Bluffopollis scabratus; Mildenhall & Pocknall pp. 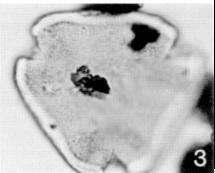 7, 16.
non 1987 Triorites scabratus Couper; Mathur & Chopra p. 126, pl. 4, fig. 82. 1988 Bluffopollis scabratus; Raine & Wilson p. 388. 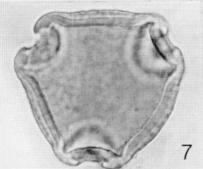 1989 Bluffopollis scabratus (Couper); Pocknall & Turnbull p. 378. 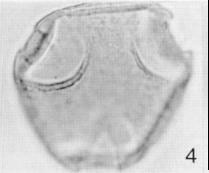 1989 Bluffopollis scabratus (Couper); Mildenhall & Pocknall p. 28.
non 1989 Triorites scabratus Takahashi & Jux pp. 259-260, pl. 16, figs 3, 4 [now Triorites takahashii Schrank 2007]. 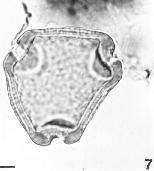 1992 Bluffopollis scabratus (Couper) Pocknall & Mildenhall; Alley & Broadbridge p. 261, fig. 10H. 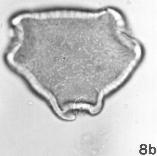 1993 Bluffopollis scabratus (Couper) Pocknall & Mildenhall; Jarzen & Pocknall pp. 186-188, figs 1-11. 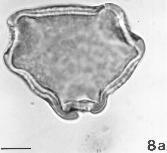 1999 Bluffopollis scabratus (Couper) Pocknall & Mildenhall; Macphail p. 227, pl. 10, figs 21, 22. 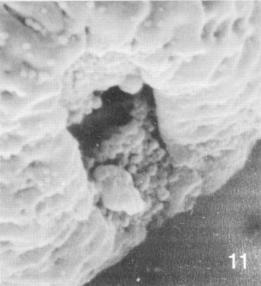 2004 Bluffopollis scabratus (Strasburgeriaceae); Macphail & Stone p. 510, fig. 8e. Natural affinity: Dicotyledonae: Strasburgeriaceae [Strasburgeria robusta (Viell. ex Panch. & Sebert)] - Jarzen & Pocknall (1993).